The neighborhood in San Francisco called “The Bayview” is the part of the city where you don’t really believe you’re actually in San Francisco until you catch sight of the skyline between buildings, or see the Bay Bridge peeking over a warehouse. It’s industrial. It’s relatively flat. It’s mostly a grid, at least to the east of 3rd Street, where the street names cycle alphabetically from Amador to Yosemite and start again at Armstrong and make their way to Meade. I’m not quite sure why Z gets no love, but much like Z, Bayview gets very little love in the grander scheme of San Francisco. Home to Candlestick Point (and the formerly Candlestick Park), Bayview was at one time known as South San Francisco, until South San Francisco incorporated and took that name in 1908. It has seen its share of coal power plants, sprawling meat processing facilities, ship yards, and violent crime throughout it’s history, and is still widely considered the most dangerous neighborhood in San Francisco by some. Revitalization of Bayview started ten years ago with the opening of the T – Third Street Muni line, connecting Bayview (and beyond) with the rest of San Francisco. In the intervening years, the “Third Street Corridor” has seen an explosion of restaurants, housing, and general overall awesomeness: warehouses replaced by apartments, shuttered storefronts reopening with new shops and restaurants, and areas rezoned to allow for new industries to get a foothold in an otherwise inaccessible city. But even with all this revitalization, at dusk Bayview can be a little forbidding. And that was why, on a cold (for San Francisco) February evening, I felt a little nervous as I was walking from a MUNI stop in Bayview towards a place I had never been before. A friend had recently written an article around this business’ struggles getting their block rezoned so they could actually sell their wares. 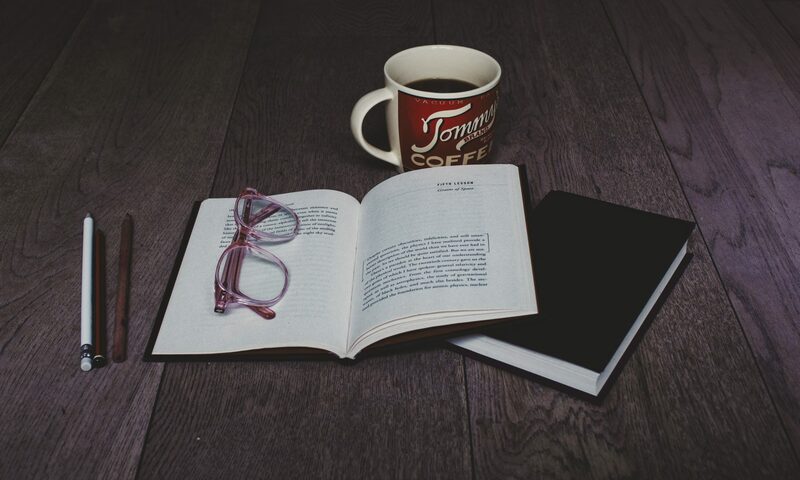 The business themselves had recently taken over the Instagram feed of one of the community newsletters I followed and proved to be quite entertaining. And so, when they announced they were having their first “First Friday” event, I decided I needed to support a community business and show up. I wandered in through the big, roll-up, loading dock door, eschewing the actual front door mostly because I didn’t notice it thanks to the music coming out of the big door. At the far end of the large warehouse space, I could see the fermentation vats and the mash tun. Closer to me was a bar with several taps and a sign that said “Beer Bar.” Closer still, were several tables with padded barrels for chairs. And finally, to my right, was what had piqued my curiosity. The Whiskey Bar. The still where dreams are made. 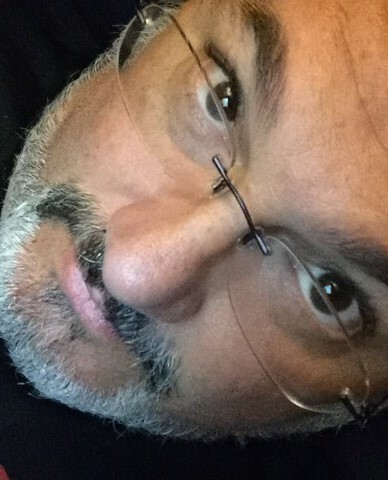 I had arrived much earlier than my friends, so I decided to start gently. I ordered a beer, and sat down at one of the long tables. A younger man with his dog sat at the other end, also enjoying a glass. He asked me if it was my first time here, and I nodded and started in on my raison d’être for the evening. You see, in my youth I had been an avid homebrewer. 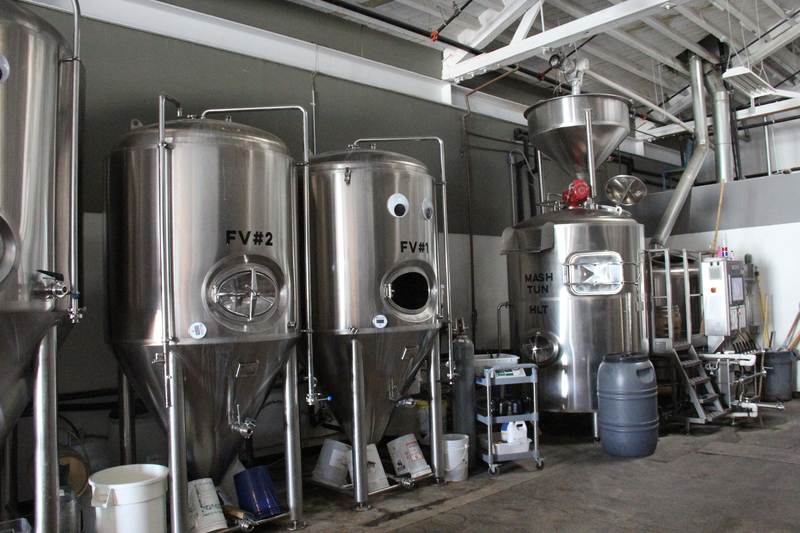 The art and science of brewing had fascinated me (and still does). One of the things I had always wanted to try was distilling the beers I made into liquor, but I was never able to thanks to those pesky laws that prevent home distilling. 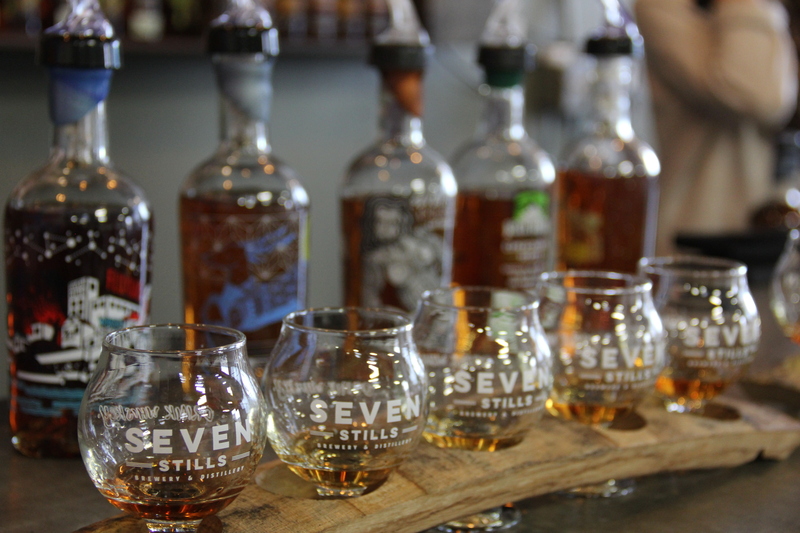 So, when I read about Seven Stills, and the fact that they made their own beer, and then turned those beers into whiskey, I got really excited, and that spark of wonder from my youth returned. 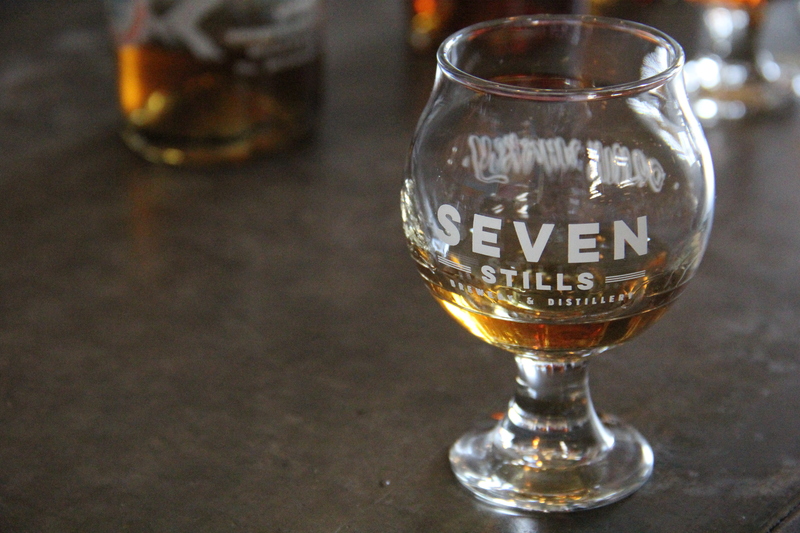 The young man smiled and introduced himself as Tim, one of the owners of Seven Stills. It was the start of a beautiful friendship. That was February 3, 2017. Prior to that date, I had very limited experience with Whiskey. Most of it was from my father’s Scotch cabinet, and to be frank, I was particularly nonplussed. So, when my friend James arrived, we sat down at the Whiskey Bar and ordered a flight from Christine. That was the start of the second and third beautiful friendships of the evening. The second being with Christine, who was delighted to spend some extra time elaborating on what she was placing before us despite the growing First Friday crowd. The third friendship is more of an obsession. And that one is with the Whiskey that Seven Stills creates. 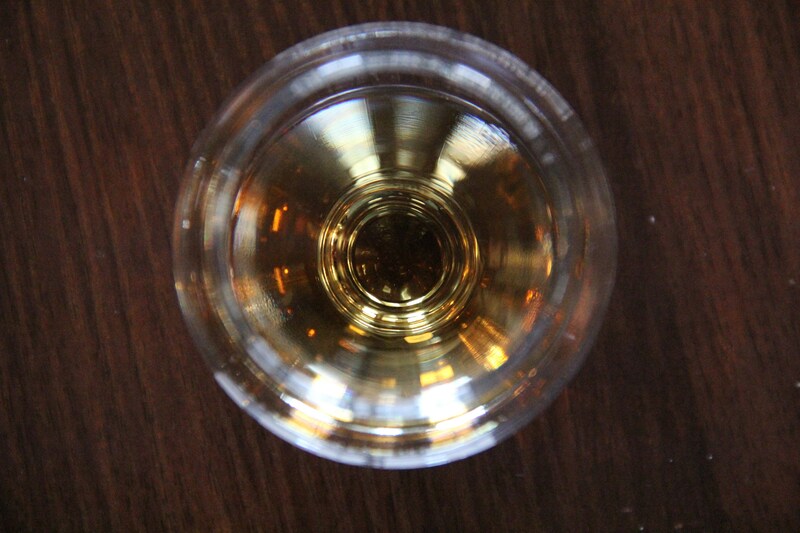 It’s not your 15 to 20 year barrel aged, peat tinged, smoky, oaky, or any other-y liquor. Tim and his partner Clint start with a very specific craft beer, and distill that down into a whiskey with a very specific flavor profile. All whiskey is made from beer, actually. 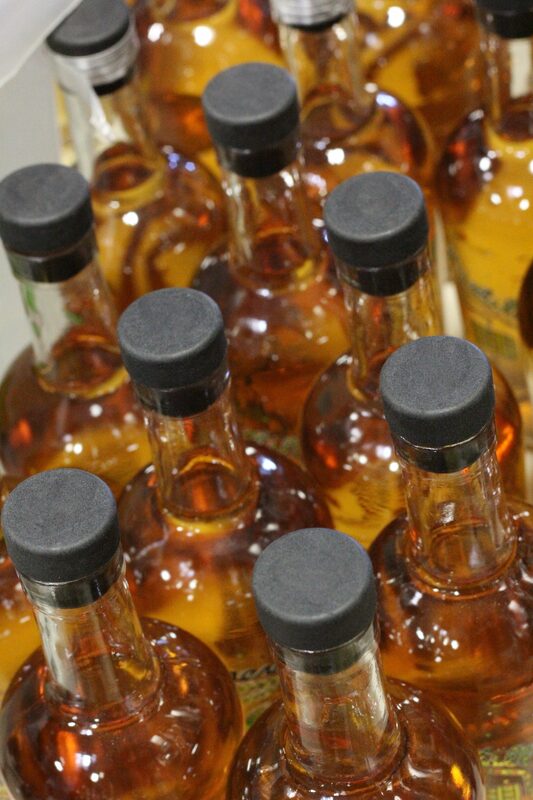 It’s just that most distillers don’t call the first part of the process “making beer.” But that is what they’re doing. Extracting the sugars from grains and adding yeast to ferment those sugars into alcohol. 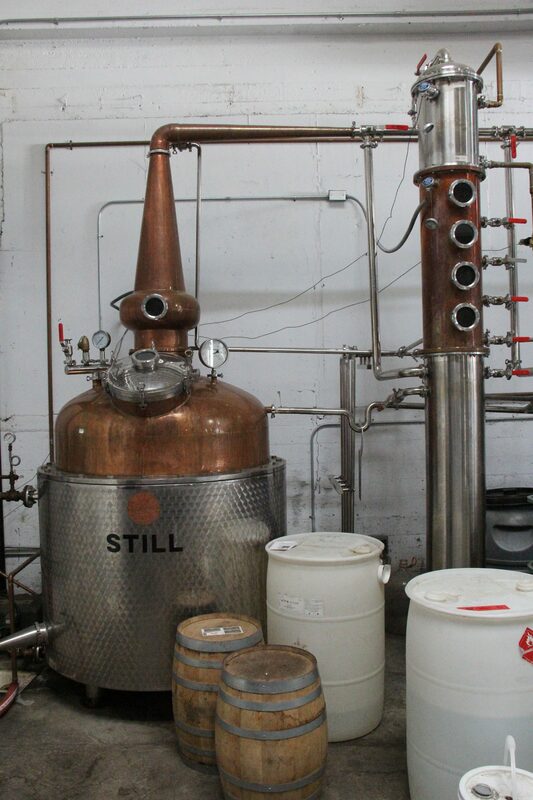 Most distillers have their own “mash” recipe that the rest of the world never sees, nor likely even hears about unless they go on a distillery tour. They distill the alcohol from the wort that is fermented after the grain is strained off from the mash. 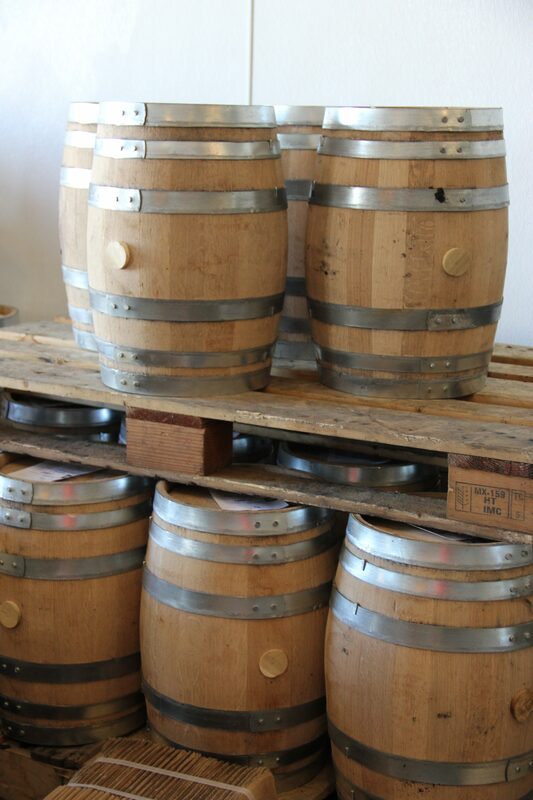 It’s the aging process and type of barrel that gives typical whiskey the unique flavors and colors of a specific label. Barrels provide whiskey its color, and some of its sweetness. What Tim and Clint are doing is starting the whiskey making process with marketable beers first, giving the resulting distillations interesting flavor profiles before they even hit the barrel. Aging still gives the whiskey it’s color and adds to those flavor profiles, but each Seven Stills release is complex and robust, without the 5+ year aging process. 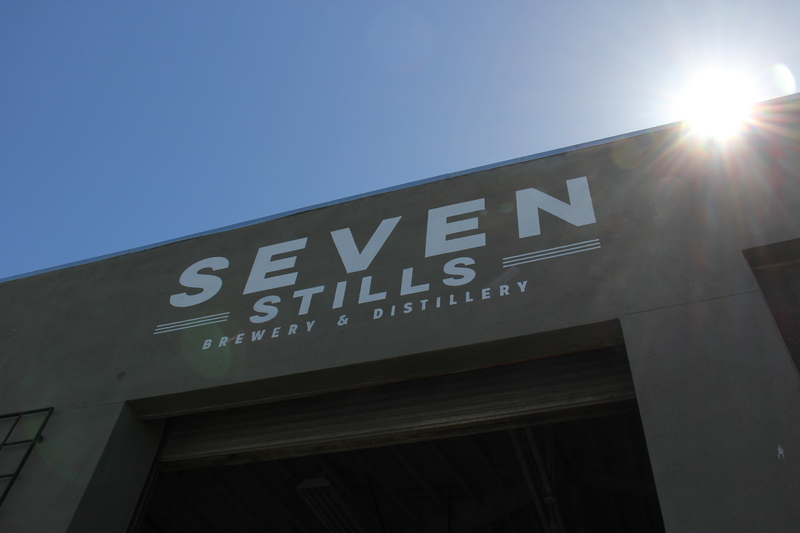 The Seven Stills team doesn’t limit themselves to their own beers, either. Along with their core releases, there have been a few collaborations and several “Experimental Series” releases with other breweries, too. 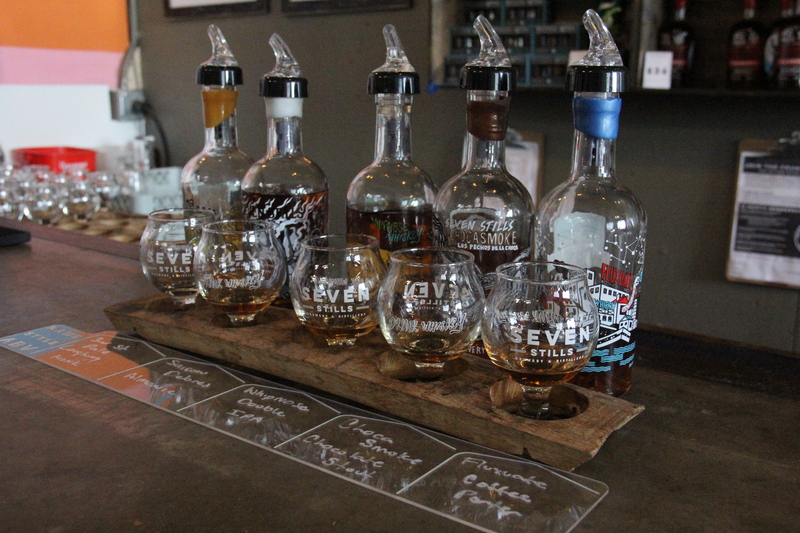 So, as I sat there, making my way through my first Seven Stills flight, I discovered this whole new world of flavor that I didn’t realize was out there. The fact that these two guys had tapped into something I had been fantasizing about for years, and were not only doing it, but doing it well, gave me hope that that maybe some of my OTHER ideas weren’t so bad, either. It was inspiring. 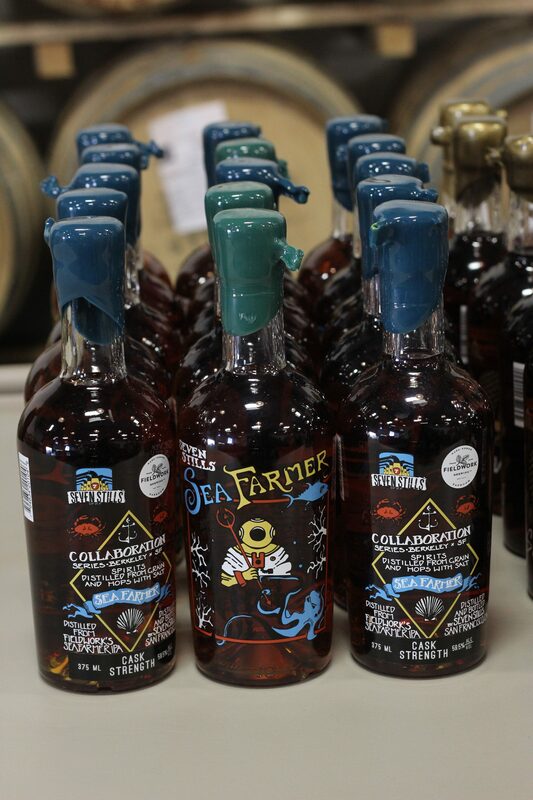 “Sea Farmer” – Seven Stills 2017 collaboration using Fieldwork Brewing’s Sea Farmer IPA. Half way through that first flight, I stopped Christine and demanded that she sign me up for the Seven Stills Founder’s Club, so I had premium access to EVERYTHING they did from that point forward. And let me tell you, I have not regretted that decision for a moment. Every flight is different, depending on which of their releases are available. In the ten months since, I have stepped out of my alcohol comfort zone and tasted the world beyond what I thought I knew. And I get it now. And every time I sit at a counter and try a new whiskey, I hold the glass up to the light and laugh a little at January me, who had no idea at the wonder he had been missing for so long. I hope I keep on finding new things to challenge me and open my mind like Seven Stills did. 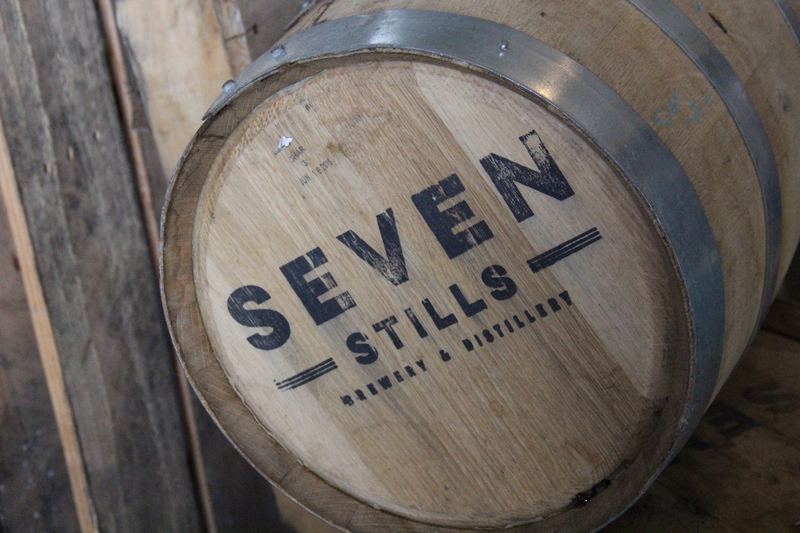 To learn more about Seven Stills visit www.SevenStillsOfSF.com.